Fighting An I-40 Illegal Stop and Search? FREE Consultation! Fighting An I-40 Illegal Stop and Search? FREE Consultation! I-40 illegal stop and search in Arizona has affected tens of thousands of motorists. An unbalanced number of drivers involved were from out-of-state, although police assert the stops are entirely legal and are in reply to heightened activity of the Mexican cartels, not to shake down unsuspecting visitors. On the other hand, many of their methods and practices have been shown unlawful in courts. I-40 illegal stop and search techniques can produce evidence against you, like drugs and drug paraphernalia. Facing possession alone can be detrimental enough, especially if you are caught with a high quantity of a dangerous drug just like methamphetamine. Under the conviction of possession, you could receive thousands of dollars in fines and years in prison. A drug trafficking charge is a completely different matter, though, with penalties that far outweigh most simple possession charges. Drug trafficking is when a person is accused of selling, transporting or importing illegal substances within the United States. The two charges of possession and distribution sometimes overlap into a charge known as “possession with intent to distribute.” This charge is made when the prosecutor establishes that the individual caught intended to sell illegal substances, which is identified by the amount and type of drugs found. If you are charged with possession of marijuana with an intent to sell, you could spend up to 1 to 12.5 years in prison and pay a fine of $150,000. The offense of possession of cocaine is a class 5 felony charge and is punishable by 18 months in prison on top of the applicable fines and other penalties. I-40 illegal stop and search approaches can at times be proven. If the police made blunders or violated your constitutional rights when they stopped you on I-40, it could be used in your defense. Some of the common errors by law enforcement may well include things like the lack of probable cause to pull you over. Probable cause refers to the requirement that police have an appropriate reason to arrest someone, conduct a search or seize property linking to the crime. 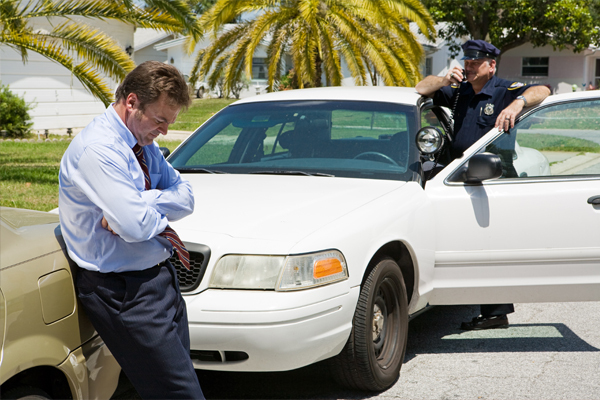 Once pulled over, the officer involved may have committed an illegal search because there are stringent rules regulating what the law enforcement can in fact do when they are given the approval to carry out a search. Some instances may indicate that the officers may have performed an improper and irregular checkpoint stop as well. I-40 illegal stop and search approaches are widespread, and for this reason, in order to give protection to the rights of every citizen, the police officials are restricted in what they can do when stopping and arresting people for a suspected drug crime. When law enforcements break these limitations, it can render all evidence inadmissible in court. If you have been jailed for a drug crime, get in touch with an experienced lawyer to concentrate on these affairs.